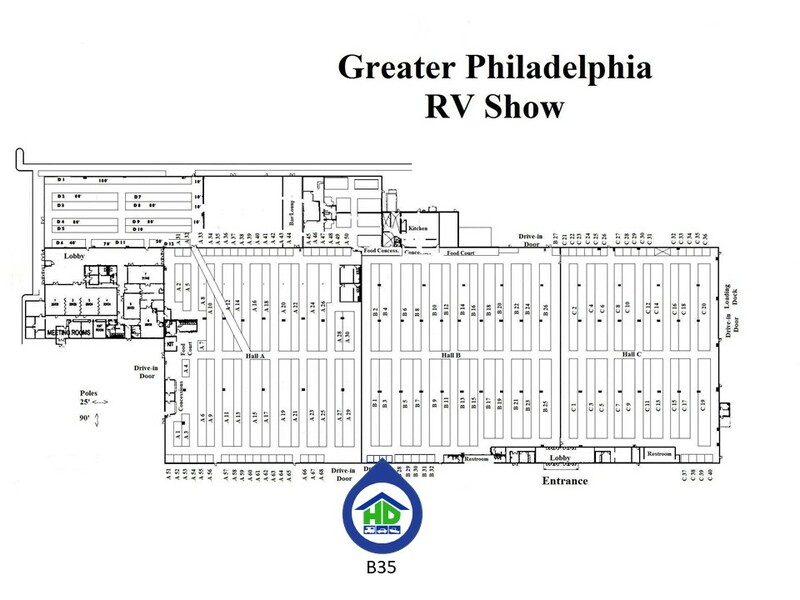 The Greater Philadelphia RV Show is OPEN! We’ve given #1, #2 and #3. Our final thing to look forward to is closer to home. 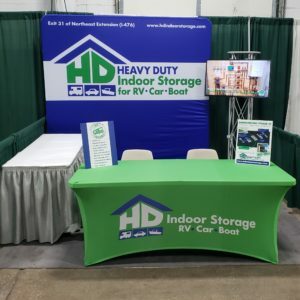 The BEST home for your RV — HD Indoor Storage. We are back for our 2nd year exhibiting at the RV Show! Look for us at Booth B35! 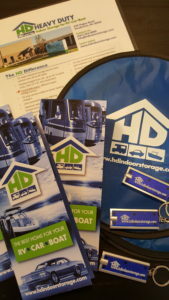 And while you can learn at www.hdindoorstorage.com, come get your information first hand. This is the largest RV Show in the area at the Expo Center in Oaks, Pa until Sunday March 3rd. Being fans of RVs, we are so excited to be a part of this big event. We got a great spot this year near Stoltzfus RV’s and we have the pleasure of looking at a Tiffin Allegro right in front of us! If you are looking for a place to keep your beautiful RV — beautiful, come see us. We have a lot of exciting news to share. And we brought the HD experience to the show — display, videos, brochures, gifts. Look for the blue and green, we can talk about storage, RVs, Camping trips or pirate jokes (Read Countdown #3)!